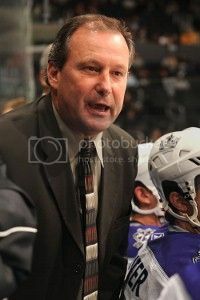 Mark Morris will return as the head coach of the Manchester Monarchs, Los Angeles’ top farm club. Per the Monarchs, the contract extension is for one season. Through seven seasons as Manchester’s head coach, Morris has compiled a record of 290-205-24-33 (W-L-OTL-SOL). He has recorded a franchise record 313 regular season and playoff wins and guided the Monarchs to the Calder Cup’s Eastern Conference Final in 2007 and 2010.